Grier uses yoga to manage stress, stay fit and keep her mindful and focused. During her career as an advertising executive at several of the largest agencies in Boston, San Francisco & New York, Grier always found time to practice yoga. Knowing that being a good teacher comes from being a good student, Grier is excited to teach all students, from age 3 to 103. 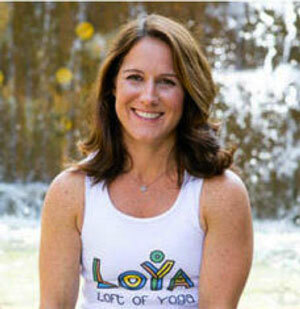 Her passion for yoga continues to expand and is reflected in how she lives her life. CERTIFICATIONS: Yoga for Children Certification with Shari Vilchez-Blatt at Karma Kids, NYC, 2011; Teen certification with Erin Wilson of Karma Kids, NYC, 2012; Adult certification with Karen Conley, owner of Amazing Yoga, 2013. 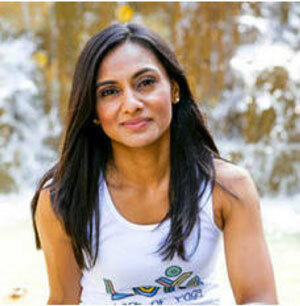 Rita has been a passionate yoga student since taking her first Jivamukti class in 1997. Her interest in movement of the human body runs deep; Rita is a licensed physical therapist in the UK and US and has worked in London and New York City hospitals. Rita is fascinated by the centering mind-body connection that yoga creates for her and her students. Yoga is her medicine. The benefits of yoga on and off the mat keep her going back for more… and to be able to share the fun and joy of yoga with her students is priceless! CERTIFICATIONS: Licensed physical therapist, 1993; Hatha yoga certification, 2006 (200 hours); Yoga for Children with Special Needs, 2009. Merging their professional and personal experiences, Grier and Rita have opened LoYa to make yoga accessible and enjoyable to their community. They both live in Summit and are busy moms of three. WHY DID YOU START YOGA? I started yoga because I was a dancer and injured my back and was pretty much told I’d never be able to dance again. My aunt suggested I go to yoga and strengthen my core and maybe that would help the injury. WHY DID YOU STAY? I stayed with yoga for two reasons. One because I became stronger and more flexible then I’d ever been; even more then when I was dancing. Yoga gave me the availability to have my passion back. The second reason I stayed is because it changed my life, not only physically but spirituality. It opened my eyes to a new way to view the world. It taught me how to breathe and be more present. WHY DID YOU START YOGA? I began yoga after the birth of my son as a way to take time for myself, mentally and physically. WHY DID YOU STAY? I continued to practice throughout my second pregnancy and got certified shortly after my daughter’s birth. My yoga practice is an ongoing work in progress, and I constantly find myself back on the mat learning something new for myself and my students. YOUR FOREVER MANTRA? You were not born to make everyone happy. It has taken a lifetime to embrace this but I’m on my way! WHY DID YOU START YOGA? I started yoga as an escape from college studies and college sports. Yoga was my refuge. I enjoyed time alone on my mat. I never experienced anything like it; the challenge, the sweat, the breathing. I didn’t tell any of my friends about it. I wanted it to myself! WHY DID YOU STAY? I fell in love with the practice from my first class. Over time my yoga practice has changed, the styles I gravitate to have changed, but no matter what style or type that you practice they all help you find balance and connection to your higher self. Yoga practice unites the body and mind through breathing and moving…and that simple combo brings peace! Yoga is to be lived. It makes you mindful of your choices and decisions. Yoga wants you to be the best version of you!!! YOUR FOREVER MANTRA? Complain less. Open your mind and heart more. WHY DID YOU START YOGA? I started yoga to help with lower back pain and because I was a gym nut, but knew something needed to balance out my routine. WHY DID YOU STAY? Yoga did in fact help with the back pain! More importantly, yoga changed my body and mind in such a positive way that I not only wanted to practice, but wanted to share it, as well. WHY DID YOU START YOGA:? I began yoga in college drawn more to the meditation aspect of the practice. It helped me alleviate anxiety and depression I struggled with during my 20s. WHY DID YOU STAY? : I stayed because again and again the yoga practice enhanced my everyday life and helped me through very challenging times in my life. Yoga has helped me tremendously in managing my low back pain from three herniations in my lumbar spine. Yoga has helped me heal and grieve the passing of one of my closest cousins and helped me through the diagnosis of my son’s genetic disorder. I continue to be grateful every single day for my yoga practice. The practice is truly the gift. WHY DID YOU STAY? : I stayed practicing yoga in order to remain humble. WHY DID YOU START YOGA? : I started yoga when I was dragged by a friend – I used to work out hard and I was a gymnast growing up so she thought I might enjoy it. I soon fell in love with the practice scouring NYC for the best classes and teachers that I could find. I had no idea at the time how big a part yoga would play in my life. WHY DID YOU STAY: I stayed because of the way it made me feel – physically, mentally and spiritually. I am still growing and learning and discovering after 10 years of practice exactly what that means to me but I know that I always feel better after I practice and after I teach than when I walked into the studio. And that is an amazing thing. WHY DID YOU START YOGA:? I started yoga in my 20s as another form of exercise what I got out of it was so much more than just a workout. WHY DID YOU STAY? : I was able to “get out of my head.” After class was over I kept feeling the effects, I was calm and energized at the same time. This feeling is what kept me coming back! FOREVER MANTRA? : I have a few mantras but my favorite is, everything you want is on the other side of fear.